Kids Learn and Play is a free learning app for kids which is designed for Windows 8 and 8.1. 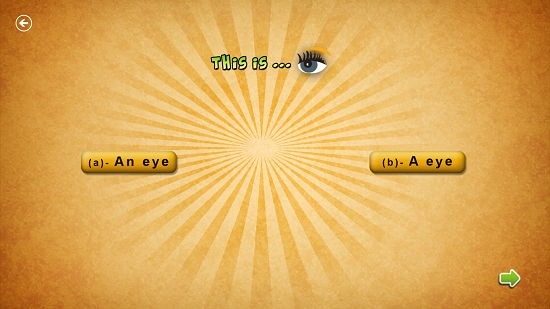 The app is designed in a quiz format in which several questions are presented on the screen and you have to click on the correct answer option. Upon launching the app you can select the age range for which you want the questions to be presented on the screen, and when you have clicked on the age range, you will be shown the quiz questions on your screen. At the end of the quiz, you will be shown the time taken for answering the questions and your overall score via means of a cute scoreboard. The app has cute graphics throughout its interface. Kids Learn and Play is available for free from the Windows App Store. 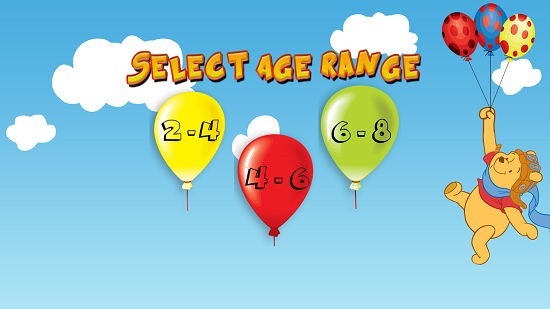 When launched, the app asks you to select the age range for which you want the quiz to be asked via means of the following screen. When the age range has been chosen, you will be presented with the quiz interface itself almost immediately on your screen. You can see this in the screenshot below. Answering correctly displays a big green tick at the center of the screen, whereas an incorrect answer will show a red cross on your screen. Questions can be skipped by clicking on the green arrow present at the bottom right of the screen at all times, and you can go back to the previous screen by clicking on the back arrow button at the top left corner of the screen. Upon answering incorrectly, you will see a confirmation that you answered incorrectly via a red cross at the center of the screen as shown below. Similarly, a green tick appears at the center of the screen when you answer correctly. At the end of the quiz, you are shown your score. This wraps up the main features of the Kids Learn and Play app in a nutshell. 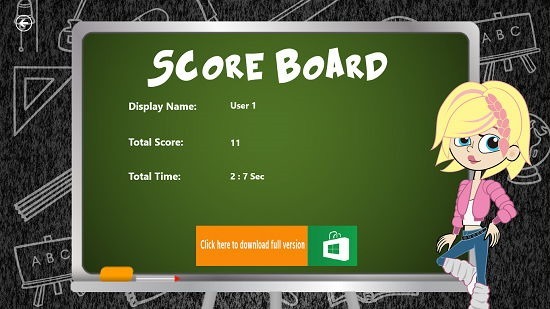 Kids Learn and Play is a well-designed interactive quiz app for Windows 8 and 8.1 designed with keeping the aptitude and learning skills of kids of various age groups in mind. The app allows for easy learning experience of kids via cute graphics and intuitive questions, and thereby I highly recommend this app for anyone with kids! Get Kids Learn and Play.